The 'Good Vibrations' Pendant or Keychain Fob is wrought by hand from sterling silver. 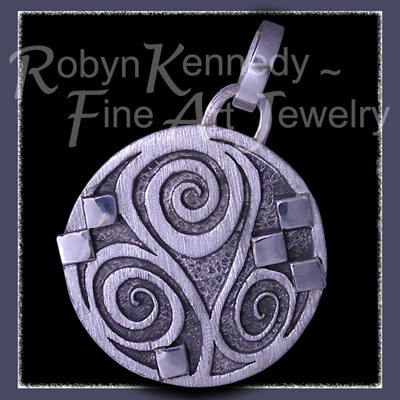 The entire central swirls were hand pierced in solid sterling silver and the silver squares added as a third layer. 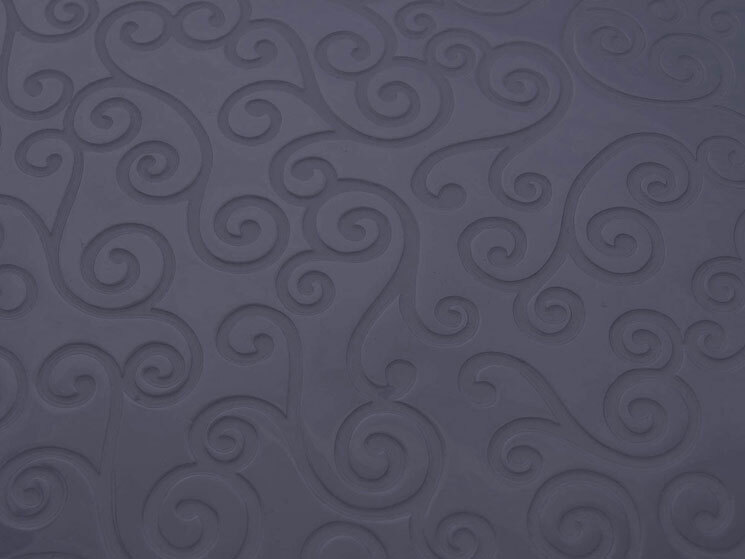 'Good Vibrations' features a diamond burred background that was then oxidized or purposely 'tarnished'. 'Good Vibrations' would make a great statement piece as a keychain fob or worn as a pendant.The 'Good Vibrations' Pendant / Keychain Fob measures 35mm in diameter and weighs a total of 13.2 grams. 'Good Vibrations' Pendant / Keychain Fob $ 229. All of the jewelry showcased in the 'one-of-a-kind' collection are artist originals. To purchase the 'Good Vibrations' Pendant or Keychain Fob without using PayPal, please contact us by e-mail or phone at Rubyblue Jewellery.